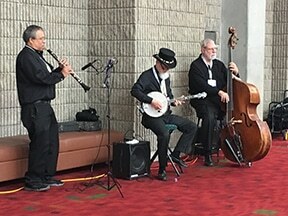 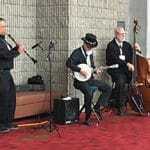 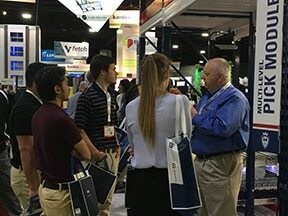 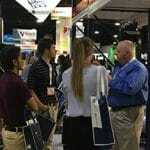 Four days with 900 of the leading supply chain providers, more than 100 educational sessions, attendees from over 100 countries and a bluegrass combo were just some of the highlights of this year’s MODEX Supply Chain Show in Atlanta. 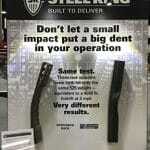 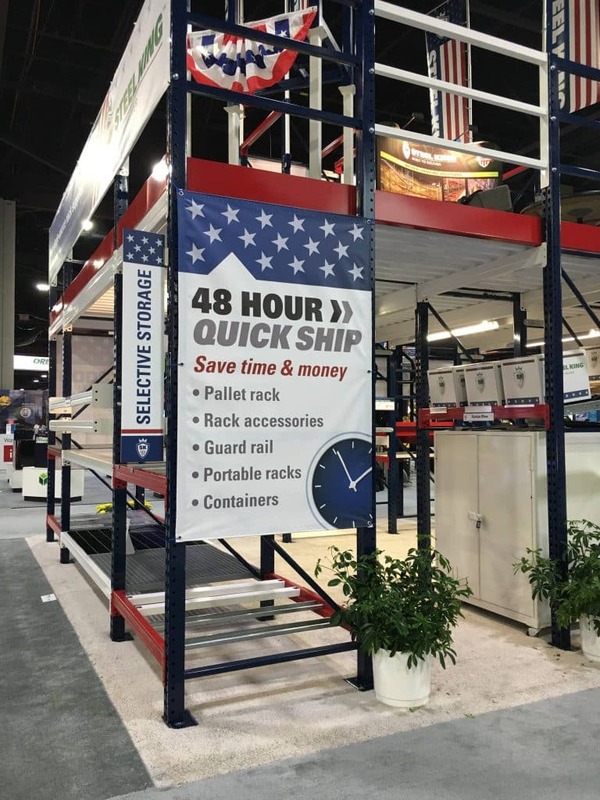 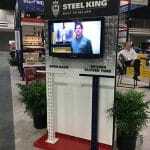 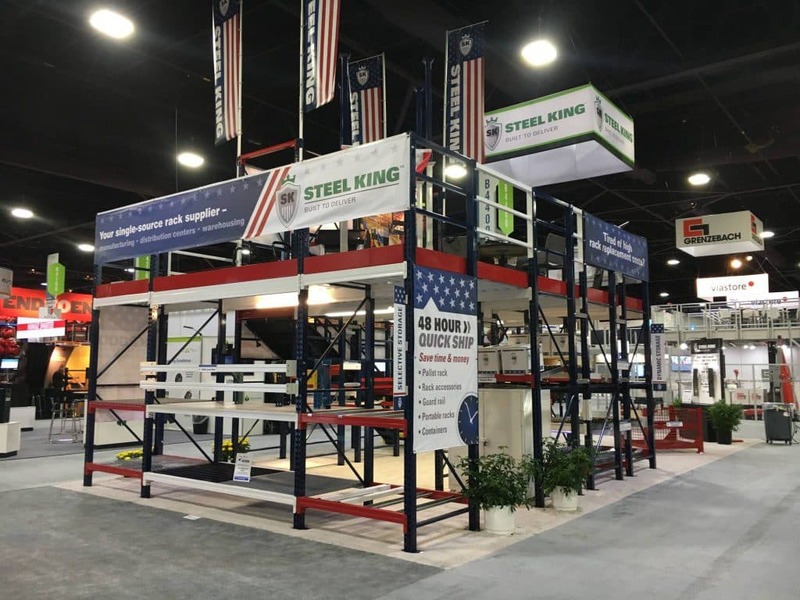 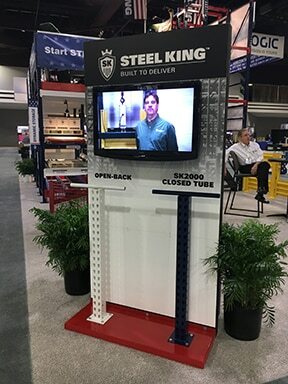 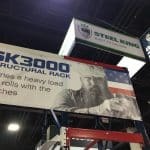 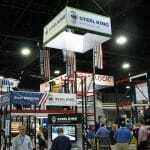 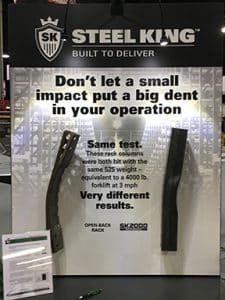 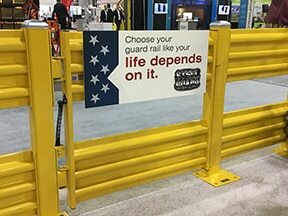 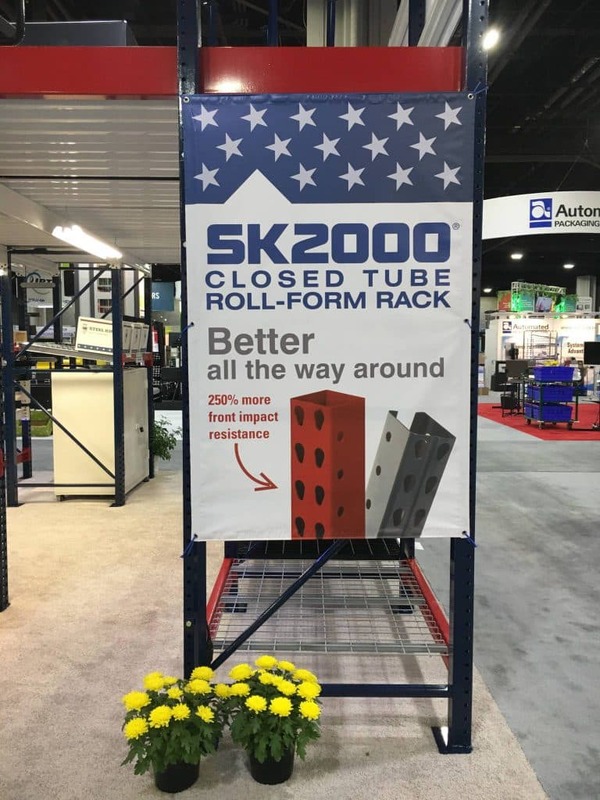 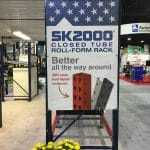 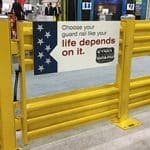 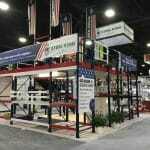 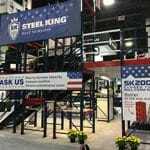 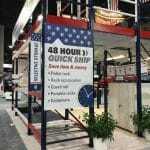 Although the bold, star-spangled “Made in America” theme of Steel King’s booth seemed to catch a lot of looks, it was two simple pieces of column stock that held their attention – one open back roll-form and the other Steel King’s closed tube SK2000 column. 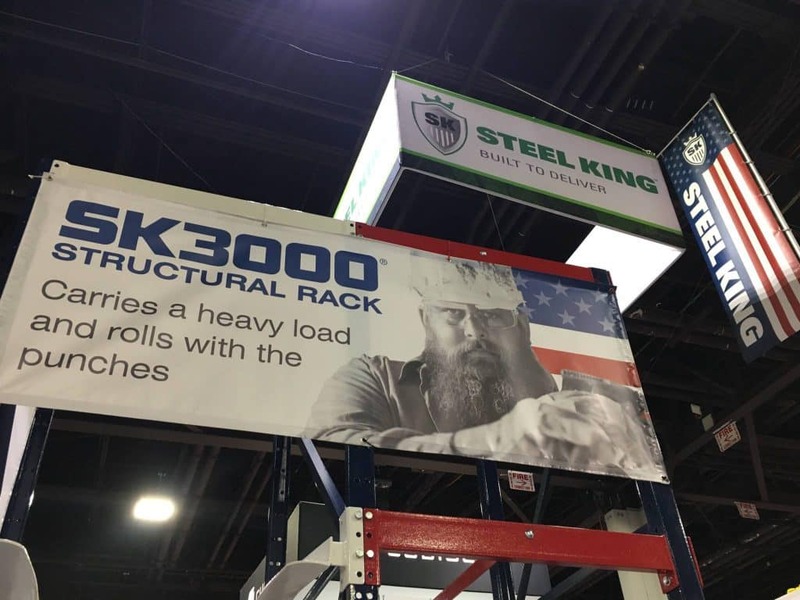 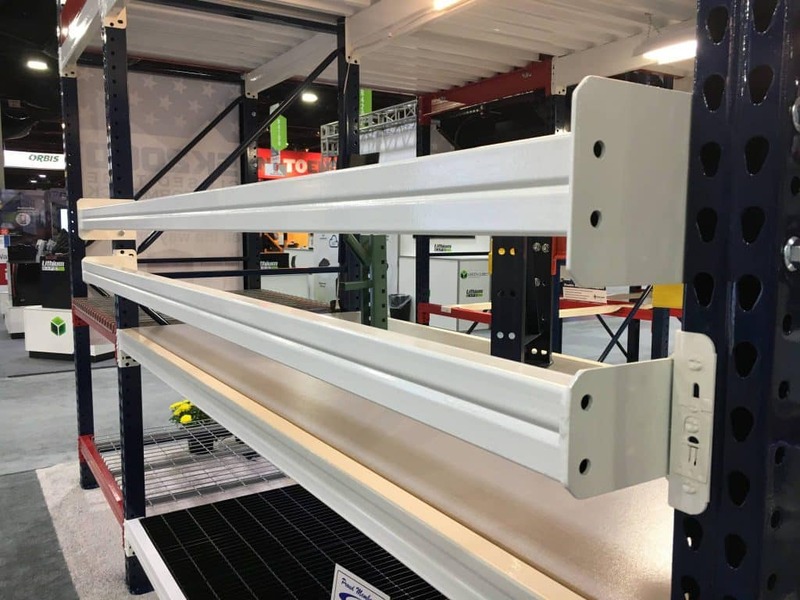 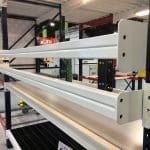 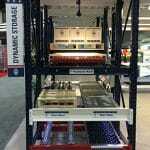 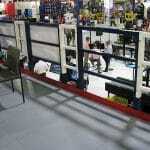 The hands-on comparison allowed visitors to experience the dramatic difference in strength and durability that a closed-column rack frame offers. 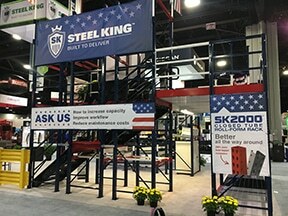 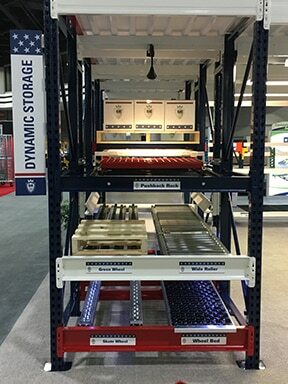 Within Steel King’s 20’ x 40’ exhibit space, a 2-level module built from our SK2000® roll form rack featured many of our most popular material handling products including selective rack, pushback rack, gravity flow, carton flow, double deep pallet supports, pallet load stops, and a variety of decking options. 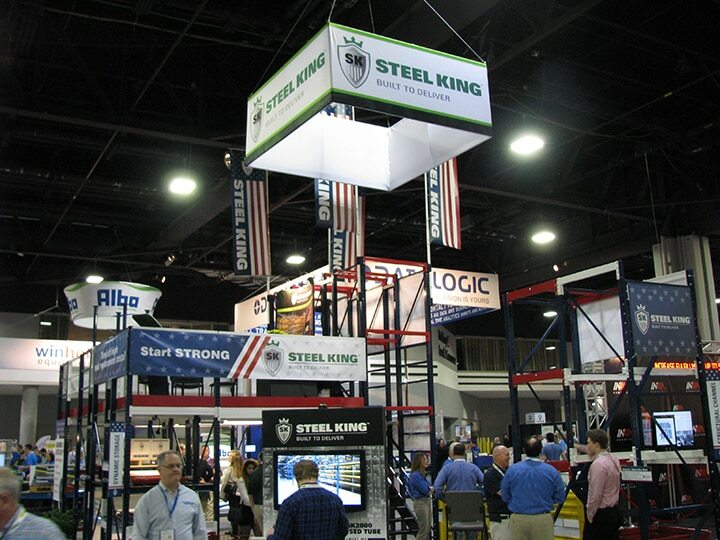 A free-standing, two level unit of structural steel displayed Steel King’s drive-in and drive-through racking capabilities. 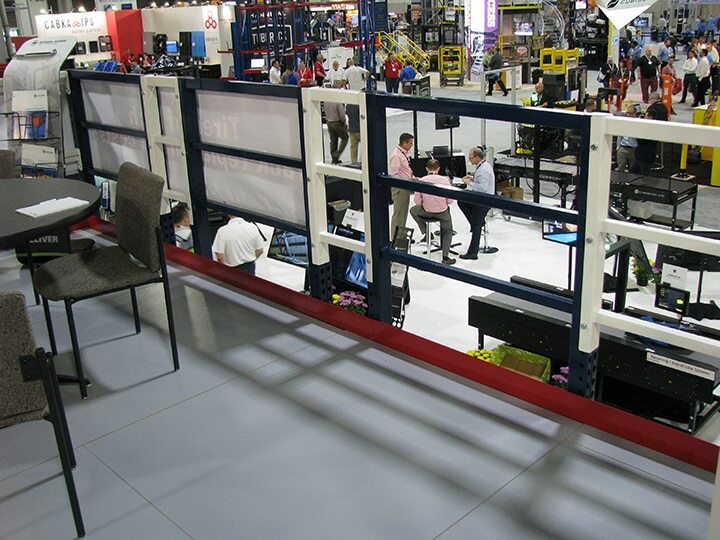 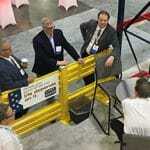 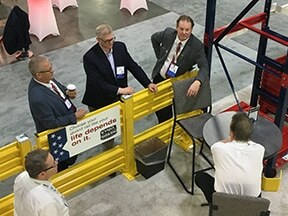 In addition to showcasing our work platform capabilities, the upper level of the booth served as a semi-private meeting space and provided a great vantage point to view the show floor.